So here in the United States, the first of our patriotic holidays is upon us: Memorial Day. It would be nice to say that I chose to do a set of red, white and blue songs to honor this day, but that’s not really what happened. I was feeling uninspired, (probably from the incredible heat earlier this week). I thought that I would go easy on myself, and do a set of color songs. I knew from when we did that on Star Maker Machine that there was plenty of good material, so I got started. 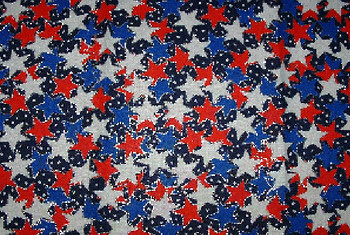 I found myself drawn to a certain mood, and it happened that my song choices were all red, white, or blue. So here they are. I have told you, my readers, that I personally oppose the wars I have seen my country fight in my lifetime. But this is the time to honor our fallen, and I do want to say that I appreciate the sacrifices our soldiers have made. While I may not agree with the war they are fighting, I understand that their courage is greater than mine, and that they are fighting out of a sincere belief that they are protecting us all. That is worth honoring, and I see no contradiction with my personal beliefs when I say so. My songs this week have a lot to say about being parted from a loved one. This is another of the sacrifices our soldiers make, and I honor that as well. So, by accident or not, I find this set to be a suitable one for the occasion. The first verse of Red & Blazing has four lines, the last of which is, “I knew that day was ending”. The later verses have only three lines. In omitting the last line, the narrator is hoping against hope that it doesn’t have to come true. This is a great piece of songwriting, presenting the desperation of the narrator perfectly and wordlessly. The music reflects her growing emotional turmoil. Finally, the someone she’s singing about dies, and in the last verse, a last line has returned. But now the words are, “to meet those birds a-singin’”. The person has died, and presumably gone to Heaven. The narrator has her bittersweet release. But who is dying, exactly? In a short note in the CD booklet, Abigail Washburn tells us that the song is based on an older song called The Dying Soldier. The first album Diana Krall released after marrying Elvis Costello was The Girl In the Other Room. The album included six cowrites with Costello and this cover of a tune Costello wrote before they ever met. Krall turns the song into a poignant jazz ballad, full of regret over a love squandered and lost. Although Costello once recorded an country album called Almost Blue, this song was not on it; Costello’s original version was arranged not too differently than this. Still, Krall captured the emotions perfectly in this performance. Rocky Votolato uses vivid nature imagery to encourage his partner to slow down and savor the small beautiful moments in life. So many of these moments are gone already, never to return. I don’t think Votolato had this in mind, but this song seems to me to be good advice to a soldier who is soon to ship out. Sky Blue is all about the sorrow of parting, and Peter Gabriel makes his point with the eloquence not just of his words, but more importantly, his music. This one gathers emotion as it goes, finally becoming a secular hymn at the end. The background vocals at the end are by The Blind Boys of Alabama. 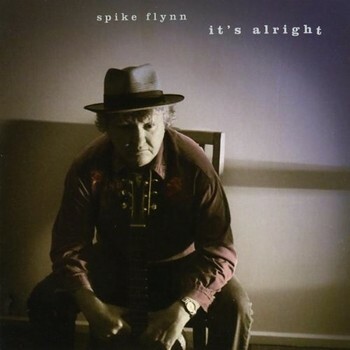 Spike Flynn is a wonderful songwriter from Australia. His shorter songs are little slices of life that perfectly capture the emotions of his characters in just a few lines. But his longer songs are a revelation. These are perfect noir short stories, dripping with atmosphere. As with any good short story, the plotting is tight, with the resolutions feeling completely satisfying. Silver Nitrate Serenade is a superb example. I couldn’t help as I listened to this one seeing in my head Lauren Bacall in To Have and Have Not. This music is not blues exactly, but it shows that Flynn is well versed in blues styles. The basic band is drums, bass, acoustic guitar, and keyboards. Sometimes, harmonica or saxophone are added for color and flavor. Flynn sings in voice that reminds me of Mark Knopfler’s, although Flynn sometimes gets gruffer. All in all, it’s a combination that works beautifully. I am looking forward to Spike Flynn’s next one, and if he publishes a novel or a book of short stories in the mean time, I hope I find out about it.